Though I’ve always been a resident of the state of Florida, I’ve been proud to call Brevard county my home since 2003. My wife, Michelle, and are are smitten with the beaches, wildlife, and entertainment options in our community, and we plan to call the Space Coast home forever. You may have noticed from our website’s homepage that I choose to highlight and specialize in waterfront real estate. As a waterfront property owner myself, I am uniquely aware of the benefits and concerns that come with homes on our lovely shores. I enjoy bringing that passion and expertise into my interactions with buyers and sellers alike. Prior to becoming a realtor, I was a professional firefighter. My firefighting career taught me many valuable lessons including the importance of teamwork, the priority of relationships, and the necessity of a tenacious spirit. I believe those values translate easily into the real estate industry, where I can be in the business of helping people through hard work and authentic connections. My unique background has built me into an agent that is well-equipped to meet the needs of my clients. On a personal note, Michelle and I have three beautiful children—Peyton, Makenzie, and Ashley. Our kids are our treasures, and we adore watching them succeed at their pursuits in academics and athletics here in Brevard County. Family is the most important thing to us, so finding a perfect home for your family resonates deeply within myself and my wife (who is both my colleague and my better half). 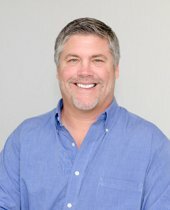 I launched this website, MerrittIslandCocoaBeachHomes.com, as a localized tool to help buyers pinpoint their ideal property with laser focus. The site is intended to provide a simple yet powerful tool to find exactly what’s right for you within our county. My vision is to cut through the fluff and give you the most valuable information so that you can make the best decision possible in your home buying journey. Please call, text, or e-mail today so that we can discuss the next step in your real estate process. Because I am so thoroughly invested in this community, it is my privilege and honor to help you find your place here too. Shane Sorenson is truly a master at helping you buy and sell your home. I met Shane in 2012 with the purchase of our first home in Brevard County FL. He showed us many homes in the southern area but once he saw what we had in mind he zeroed in on the right home at the right price. In 2015 he was our agent in selling the house and got us an excellent price for it. Now in 2018, under very difficult circumstances (ex partner was not very cooperative), he has sold my last house at a price way above expectations. If there is ever a need in the future for his services, he will be the only one that I shall use. He is a master buyer/seller agent and worth every penny. He truly gives you more value then what he is paid. I was taught that a man is measured by his honor and principle, hence why I value Shane so much and hold him in high esteem. When you shake his hand, you will understand what I mean and you can trust him 101%. I could go on and tell you a hundred more qualities of Shane that will show you that he is the best not just in Brevard but I would say the country, but don't take my word for it, call or write to him and know first hand what I know and feel. Thank you Shane again for all that you have done for me in the past and hopefully in the future again. Shane guided us through the entire search, pre closing activities, the closing information, and many needed details of what we needed to know and/or needed to take action on! He was very patient with us & our needs concerning this procedure. As a career Army officer, I have had the opportunity to work with many real estate agents over the years across 6 states and over 20 houses bought and sold. Our experience working the purchase of our new home on Merritt Island with Shane Sorenson, was by far, the very best experience. Shane quickly assembled our requirements and identified the property we were looking for in record time. More importantly, Shane anticipated every possible issue from our initial offer to closing and resolved them to ensure our closing went off on time and without any conflicts. Overall, we could not have asked for anything more. He scores a 10 out of a possible 10. Shane is very personable, never gives up until he finds the right property to suit your needs. We came here in January and it took us 6 weeks to find the right home for us. He shows up on time and is easy to get along with. He explains everything in such detail as to problems there maybe with a problem or not. Some properties he steered us away from because they had problems. He is calm, patient and not pushy. My son who is coming to Florida in June is using Shane through my recommendation. Shane was extremely helpful during our search for a home in the Merritt Island area. We began our search for an agent simply by calling the number listed on the realty signs. We talked to 5 different agents, some more than once, and Shane was the one we ultimately chose to work with. He was very knowledgeable and his drive to please the customer is what brought us to choose him over the others. He was quick to return calls and quick to find answers to any questions we had on the properties we viewed. He knew what we wanted, and he was quick to point out small things that were important to us, but that most other agents may overlook. If I had it to do over again, the first call I would make would be to Shane. Shane did a top-notch job in handling the sale of a home in my Aunt's estate. I lived out-of-town and he handled all of the details seamlessly. Plus the home sold for more than we had anticipated AND within one week. This all may sound easy but believe me - due to complicated estate issues - Shane had to tend to many more details than a typical sales transaction. I would definitely use Shane's real estate services again. He's a pro! My experience with Shane was totally enjoyable. I was in a rush to close early as I need to be out of the place I was living and Shane made that happen... no easy feat. His pleasant manner and knowledge made him the perfect choice for me. Shane is very knowledgeable about the local area, is extremely likeable and easy to work with. If you have any questions, he will get back with you immediately. He sold my house in Palm Bay in 2003 and had a buyer on the first showing. He also helped my mother in selling her house is St. Lucie County at the same time and just this past year helped her to buy another house in Palm Bay. I would definitely recommend Shane if you're buying or selling a house in Brevard County. Shane was instrumental in listing/selling our residential home and later our rental property. He was very knowledgeable about the area where we lived and found the right buyer for our particular property. He showed professionalism and courtesy as we worked through a myriad of issues in regard to our rental property. He worked with us to get us in the price range that we wanted for both properties. He is friendly, easy to work with and we highly recommend him in any specialty for real estate. He followed through on all issues that needed to be addressed and kept good humor through it all. That's saying a lot! Shane Sorenson listed and sold our home in less than 2 months! Shane was very responsive and took time to educate us about the process. He was in contact with feedback and scheduling daily, so we always know the status of the showings and prospective buyers. Shane represented us well and got us a fast closing for the price we wanted – we are grateful for the great service and results!